While part of the 51st Highland Division, Ark Force, escaped capture at St Valéry and returned with the reformed 51st Highland Division to continue the war in North Africa and Europe for many their war would continue in captivity for the next five years. Some would escape, some successfully other to be recaptured, others would die in capacity while many would have to endure varying prisoner regimes before finally being repatriated at the end of the war. There are many personal tales to be told and this section of the web site can do no more than shed a little light on some of them. 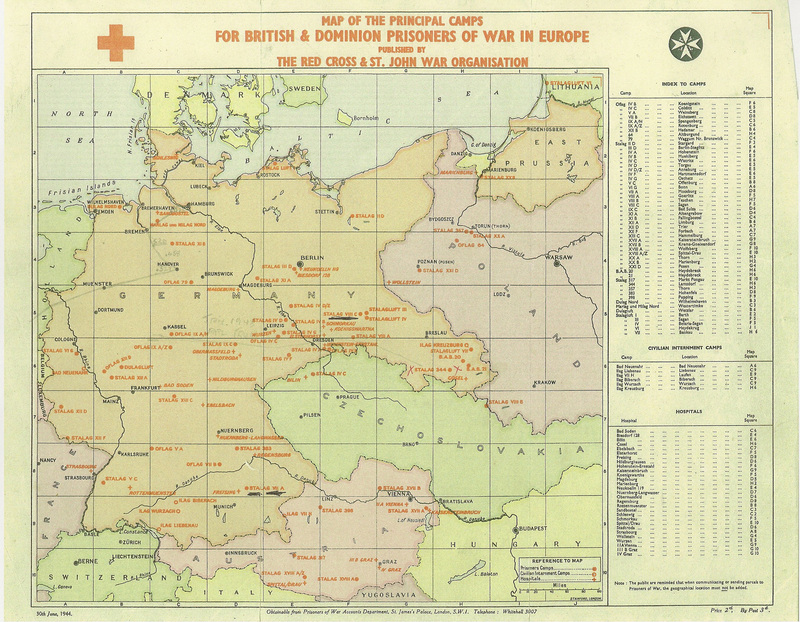 This map, published in June 1944 by The Red Cross & St.John War Organisation, shows a map of Principle Camps for British & Dominion Prisoners of War in Europe. George Drummond was captured in June 1940 and was sent to a number of camps between 1940 and 1945 including Stalag XXIA (Schildberg), Stalag IVC (Wistritz) and Stalag VIIIB (Lamsdorf) which was renamed Stalag 344 during 1943. We have a collection of photographs from the camp and a short description of George's war, complied by his Great Great Nephew, Shaun Finnigan. Caron Paterson very kindly sent us a set of scanned photographs that belonged to her Grandfather, Pte. 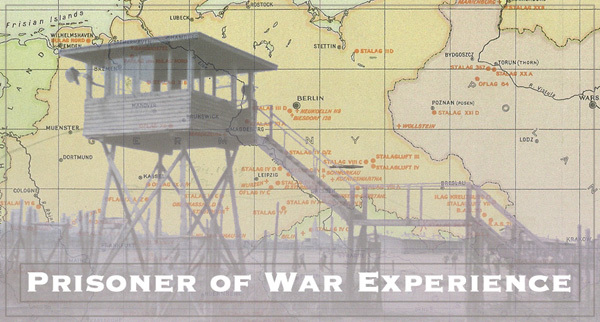 Harry Knox, and are from his times as a WWII POW in Stalag IX-C in Germany between 1940 - 1945. The set include several of a comedy sketch show put on by the POWs.